Canadian Space Agency astronaut Chris Hadfield performed the Education Payload Operation-Space Sports 2-Demonstrations (EPO-Demos) with NASA astronaut Thomas Marshburn onboard the International Space Station. EPO Demos are educational videos; the Space Sports2 video is intended for grades 5-8 students and educators. Objectives include demonstrating how crew members play games and sports in a microgravity environment and how Isaac Newton's Laws of Motion are applied to games in space. Hadfield exchanged the Material Science Laboratory sample cartridge assembly. A Columnar-to-Equiaxed Transition in Solidification Processing (CETSOL) was successfully installed and processed. The CETSOL investigation aims to deepen the understanding of the physical principles that govern solidification processes in metal alloys. The patterns of the crystals resulting from transitions of liquids to solids are of great importance to processes in producing materials such as metal alloys. 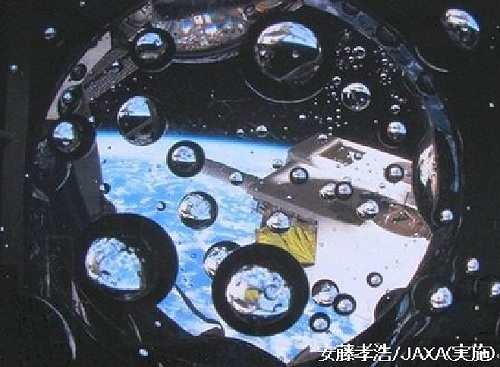 Hadfield reviewed the Japanese Aerospace and Exploration Agency Payload Observation 10 (JAXA EPO10) Blue Earth Gazing materials, set up the hardware and performed two Blue Earth Gazing experiment video takes. He performed closeout activities at the end of the operation. Blue Earth Gazing is an onboard artistic effort that allows people to see the Earth through reflected images on the surface of the water. This new way of Earth viewing enlightens the general public about microgravity and human spaceflight. The crew member performs in-orbit demonstrations that show microgravity provides a unique environment useful not only for exploration by scientists and engineers, but also for writers, poets, teachers, artists, etc. NASA astronaut Kevin Ford, Expedition 34 commander, loaded the Rack Interface Controller, or RIC, Release 8 Software on EXpedite the PRocessing of Experiments for Space Station Racks (EXPRESS Racks) 3 and 5. EXPRESS Racks are multipurpose payload rack systems that store and support research aboard the space station. 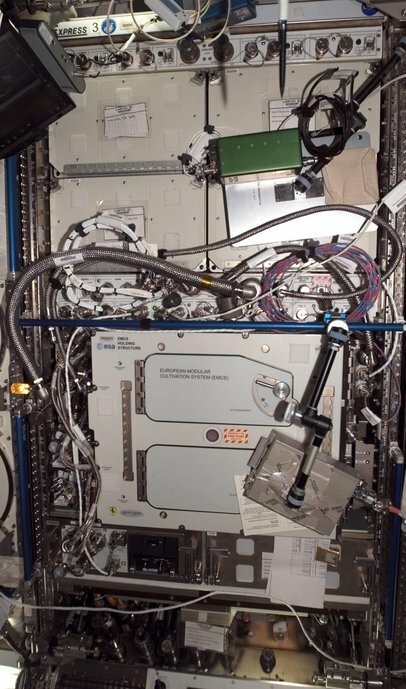 The racks can support science experiments in any discipline by providing structural interfaces, power, data, cooling, water and other items needed to operate science experiments in space. Hadfield performed nine Investigating the Structure of Paramagnetic Aggregates from Colloidal Emulsions-3 (InSPACE-3) runs. To date, 41 of the 47 runs are complete. InSPACE-3 studies the fundamental behavior of magnetic colloidal fluids under the influence of various magnetic fields. This technology has promise to improve the ability to design structures, such as bridges and buildings, to better withstand earthquake forces. Other human research investigations continued for various crew members including Neurospat, Nutrition, Repository and Reaction Self Test. 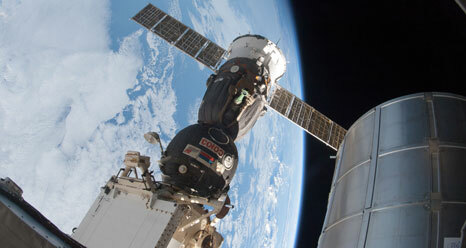 The six-person Expedition 34 crew of the International Space Station wrapped up the workweek Friday with robotics and preparations for a commercial cargo craft set to arrive in early March. Commander Kevin Ford and Flight Engineers Tom Marshburn and Chris Hadfield began their morning with the Reaction self test, a short reaction time task that allows the crew to track the effects of fatigue on performance. Marshburn and Hadfield also participated in a urine pH test for the Pro K study as nutritionists monitor how dietary changes affect the bone loss that occurs during spaceflight. Ford spent the bulk of his morning disassembling components of the Aquatic Habitat, which was most recently home to some spacefaring Medaka fish. When the preserved specimens from the Medaka Osteoclast experiment are returned to Earth, Japanese researchers hope to understand more about the causes of bone density loss during long-duration spaceflight. Marshburn meanwhile conducted the annual inspection of the two food warmers aboard the station – one in the Zvezda service module and the other in the Destiny lab. Marshburn also packed various items into stowage bags for return to Earth aboard the SpaceX Dragon cargo ship, now scheduled to launch to the station March 1. When the Dragon capsule carrying about 1,200 pounds of supplies rendezvous with the station, the crew will use the 57.7-foot Canadarm2 to reach out and grapple the spacecraft. The robotics officer in Houston’s Mission Control will then remotely command the arm to berth Dragon to the Earth-facing port of the Harmony node while the onboard crew monitors the Common Berthing Mechanism operations that fasten the capsule to its port. To prepare for the arrival of Dragon, Ford and Marshburn used the robotics workstation in the cupola Friday to practice the procedures for an offset grapple of the commercial cargo craft. 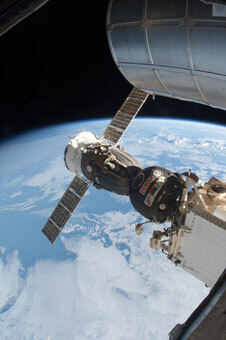 Afterward the two NASA astronauts participated in a debrief with flight controllers to review the training. Marshburn rounded out his day inspecting the seals of the open hatches throughout the U.S. segment of the station. Hadfield, a Canadian Space Agency astronaut, spent part of his morning setting up Robonaut 2 for some remote testing for the first humanoid robot in space. The ground teams used Robonaut’s vision processing system to collect data from a task panel and assessed its finger sensors. After these operations were completed, Hadfield disassembled and stowed Robonaut as it awaits its next round of tests. Robonaut was designed with the intention of eventually taking over tasks deemed too dangerous or mundane for astronauts, perhaps even venturing outside the complex to assist spacewalkers. 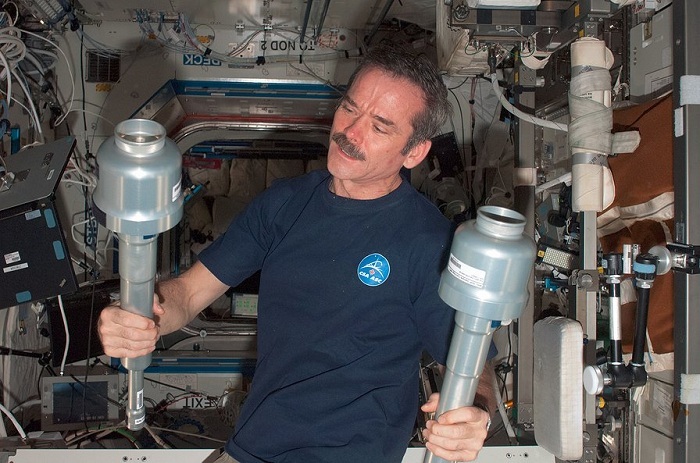 Hadfield also wrapped up some spacewalk equipment battery maintenance before taking time out to talk with students at the University of Waterloo in Ontario, Canada. On the Russian side of the station, Flight Engineers Evgeny Tarelkin and Roman Romanenko worked on the BAR experiment, studying methods and instruments for detecting the location of an air leak from one of the station’s modules. Their fellow cosmonaut Flight Engineer Oleg Novitskiy spent much of his day replacing condensate lines in the Zvezda service module. Tarelkin also unloaded some of the 2.9 tons of cargo that arrived Monday when the ISS Progress 50 cargo craft docked with the station less than six hours after its launch from the Baikonur Cosmodrome in Kazakhstan. Over the weekend, the space station’s residents will enjoy some off-duty time, during which they’ll continue to monitor station systems and experiments, perform their daily exercise regimen and talk with their families back on Earth.